The black-capped chickadee is the state bird of Maine and Massachusetts. Perhaps this honor was bestowed due to their ability to brave the cold winters of these and other northern states. Known for boldness around humans, wild chickadees are frequent visitors to bird feeders and will sometimes even eat right out of a person's hand. This is the smallest chickadee tile made by Emu Tile. This design is also available in the 3"x3" and 4"x4" sizes. 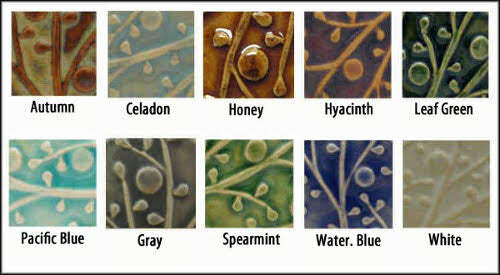 Select any one of several glazes. Can be installed or otherwise displayed in any room of the house. Carefully crafted by hand. Traditional relief style art tile; original modern design. High fired stoneware can last thousands of years, under the right conditions.All glazes are lead and cadmium free.